At Anderson Kia, seamless service drives every customer experience. Our sales team will stand by your side to find the ideal Kia model for your lifestyle and budget. Once you've test driven to your heart's content, our finance team is ready to take over. We'll help you explore your auto loan options, arrange monthly payment plans, and value your trade-in vehicle. Your new or pre-owned vehicle is waiting for you; visit our showroom in Woodstock, ON to find it. Search The Pre-Owned Inventory!What's My Car Worth? If you are in the market for a new vehicle in the Woodstock area, it can save you time and money by seeking out used cars for sale. Not only are they far more affordable, but used cars boast additional benefits as well. There are also countless options to choose from; whether you are seeking an SUV or small compact vehicle to drive around you are your loved ones, there is a used car out there for you. 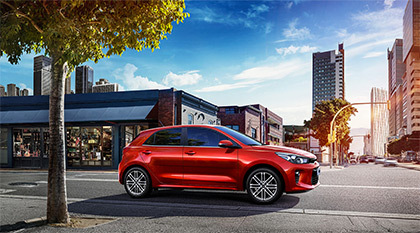 We'll help you find your dream car at Anderson Kia where our vehicles are Certified & thoroughly tested, fully reconditioned inside and out with CarFax included!